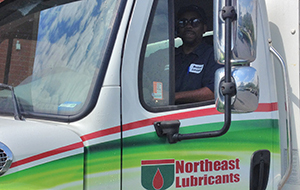 Since 1997 the Northeast Lubricants Team has taken pride in providing a broad variety of quality products, outstanding service and an array of solutions for our customers. Northeast lubricants is YOUR complete lubrication SOLUTION! Northeast Lubricants is proud to be awarded the MOM license certification by the American Petroleum Institute. The MOM certification confirms Northeast Lubricants properly stores, labels and distributes quality oils. MOM’s goal is to make sure consumers get the right motor oil for their cars and trucks every time by maintaining a secure chain-of-custody standard. The MOM mark helps identify distributors and oil change locations committed to providing motor oil that meets the performance standards recommended by most vehicle and engine manufacturers.